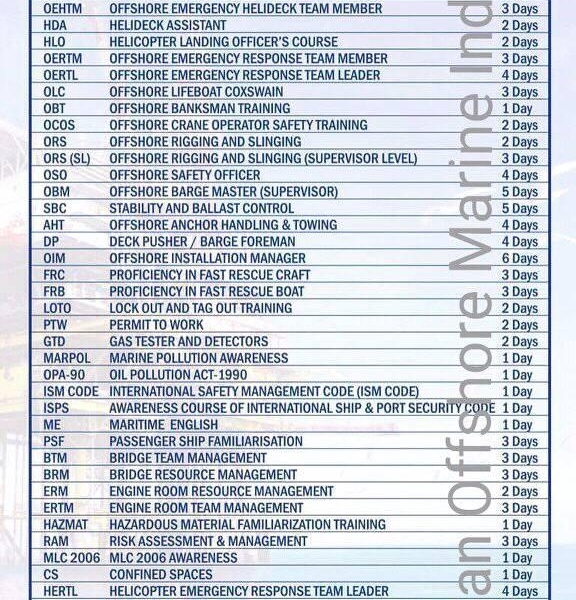 BOSIET course is a minimum requirement to work offshore. The course consists of four modules; Safety Induction, Helicopter Safety and Escape (HUET), Sea Survival and First Aid, Fire Fighting and Self Rescue. The BOSIET is required for cold water areas and includes additional training in the use of survival suits and emergency breathing systems during the HUET module. This course is essential for personnel who are new to the offshore oil and gas industry that require this safety and emergency response training and assessment to work in an offshore cold or warm water environment. Ocean Offshore Marine India uses the latest equipments. We are the best institute to offer the offshore courses in Delhi. We offer all types of courses related to the offshore Industry. Please login or register to get access to the marketplace contact form.